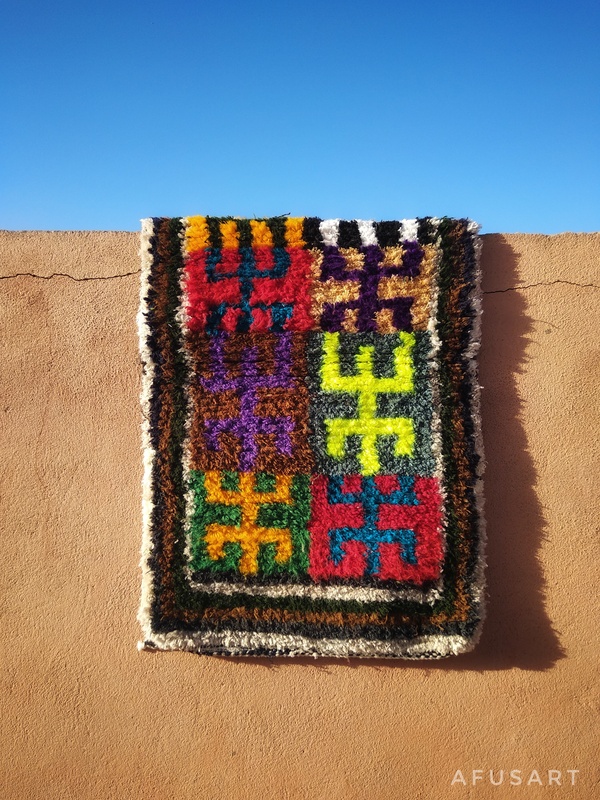 Atfel, snow in Berber, is how we called our last acquisition. 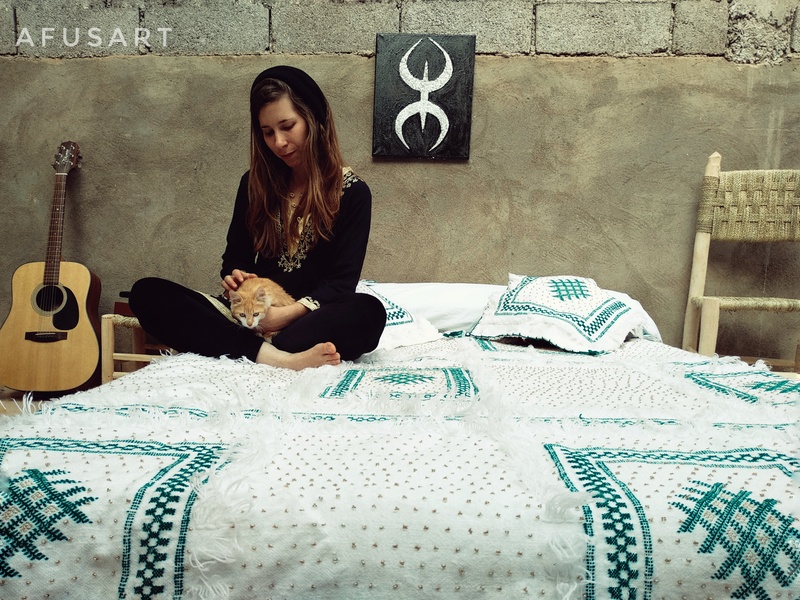 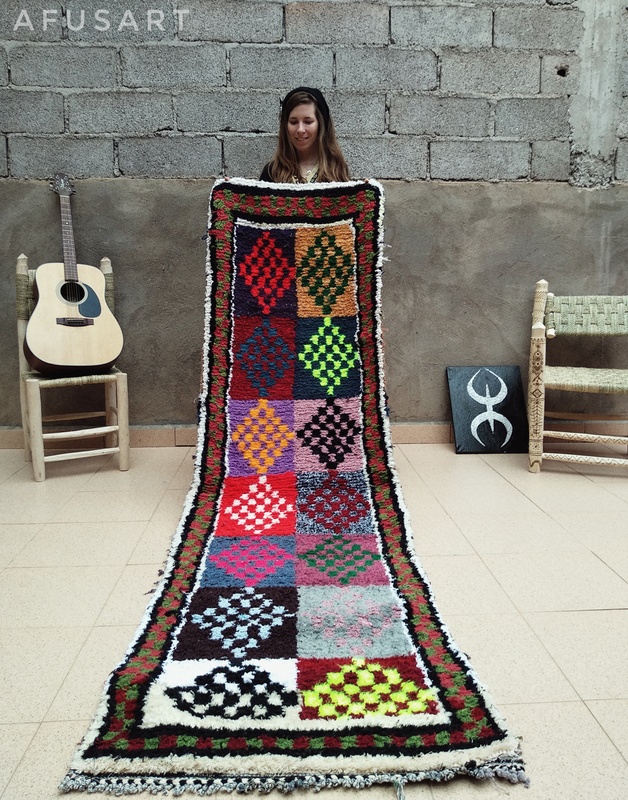 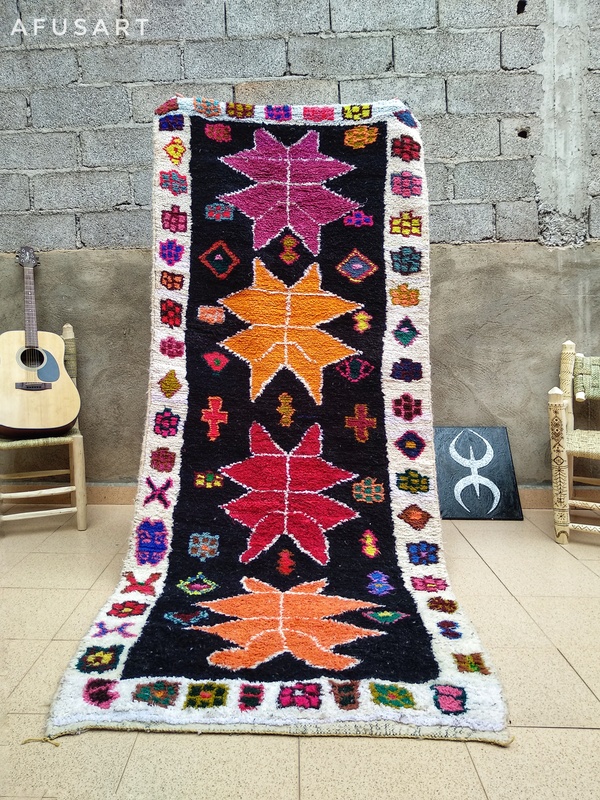 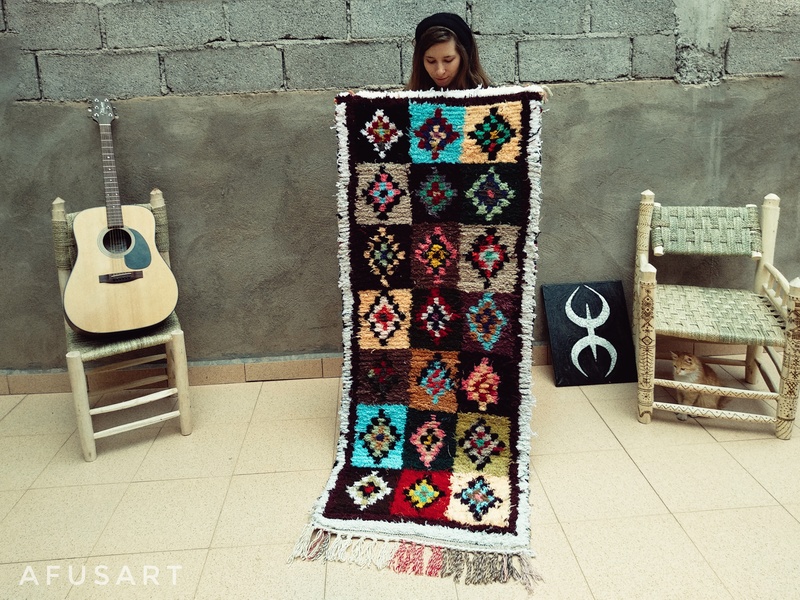 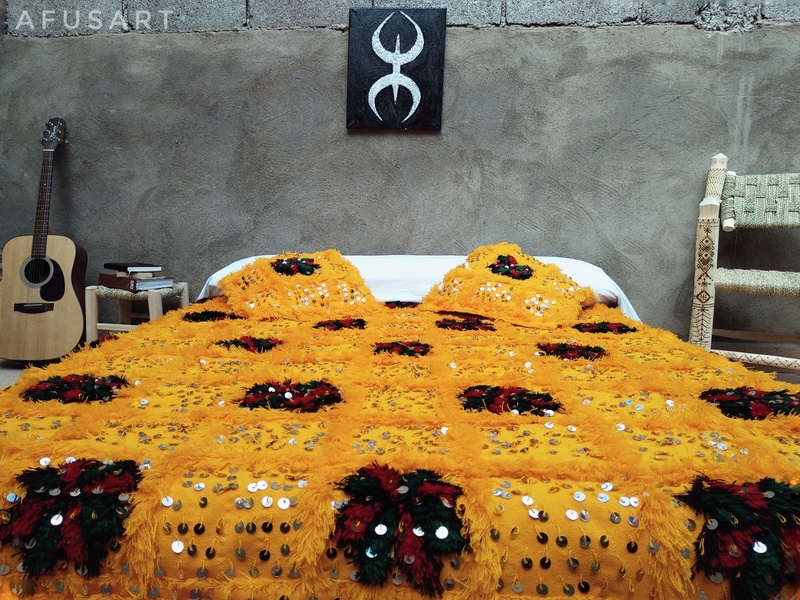 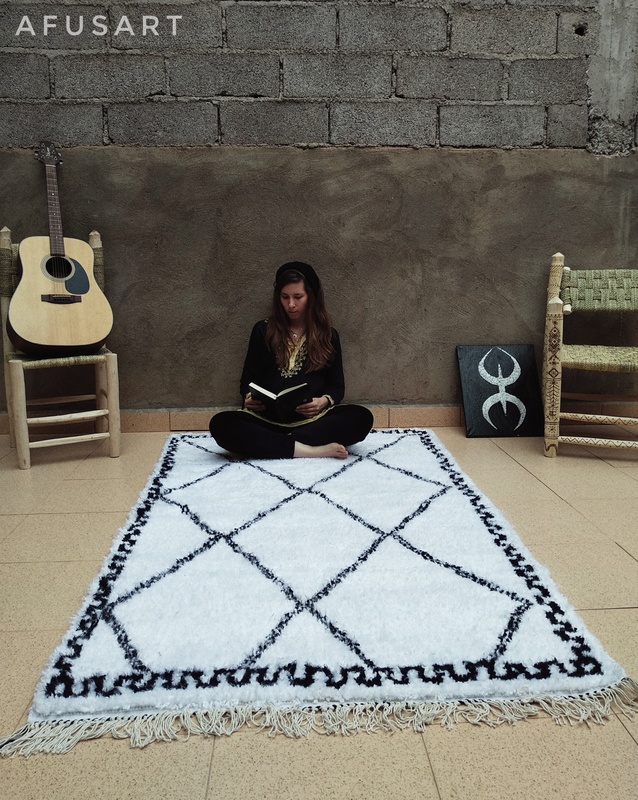 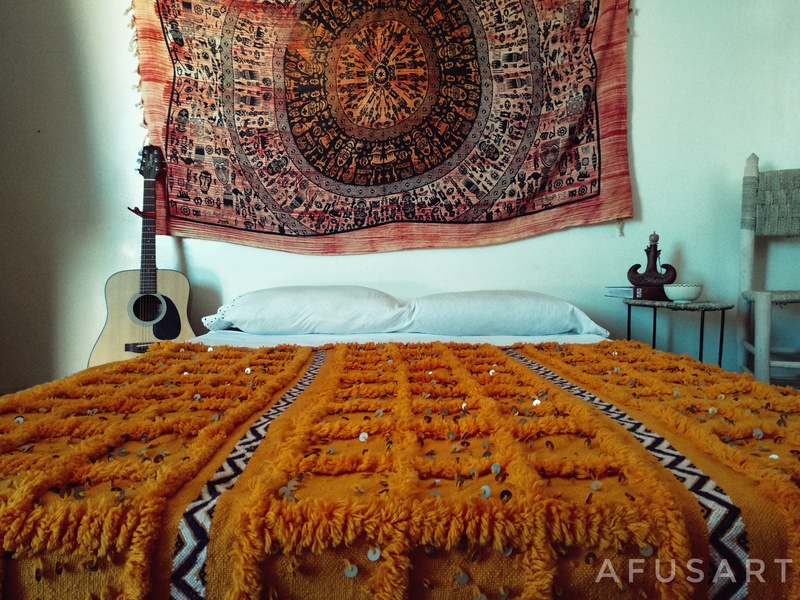 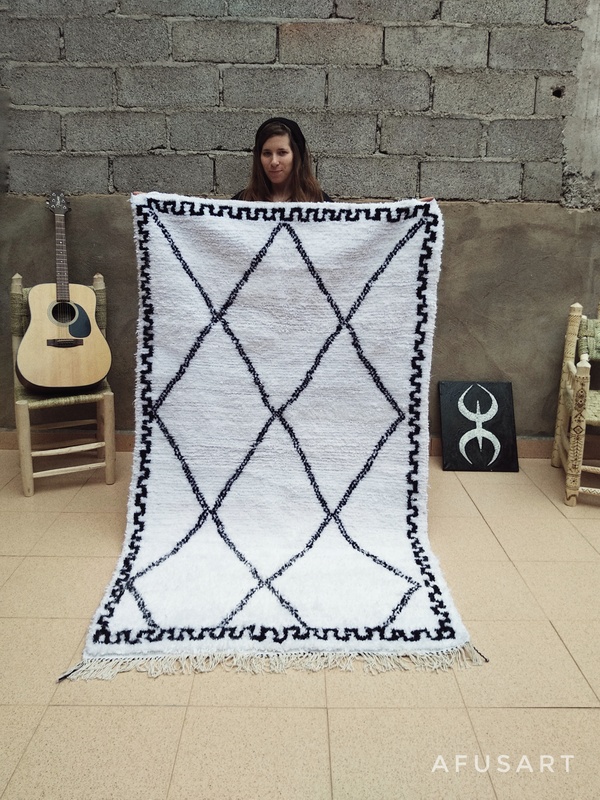 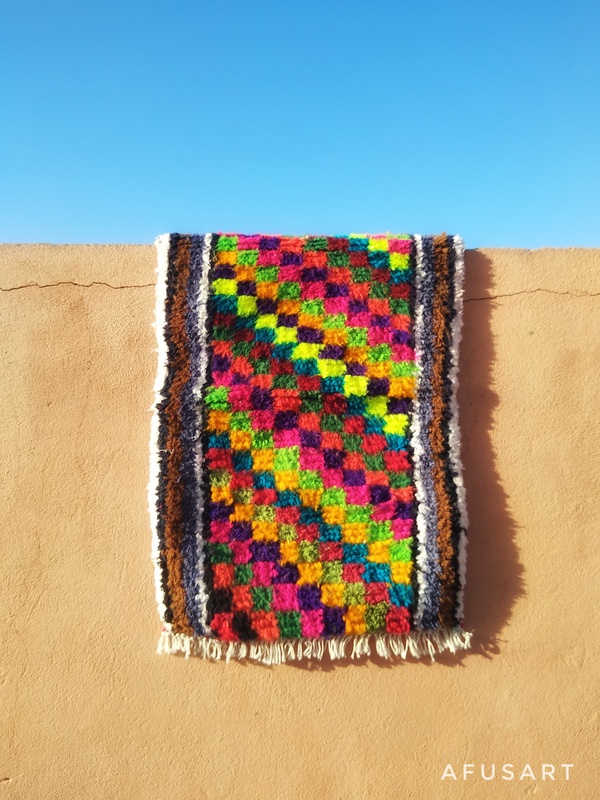 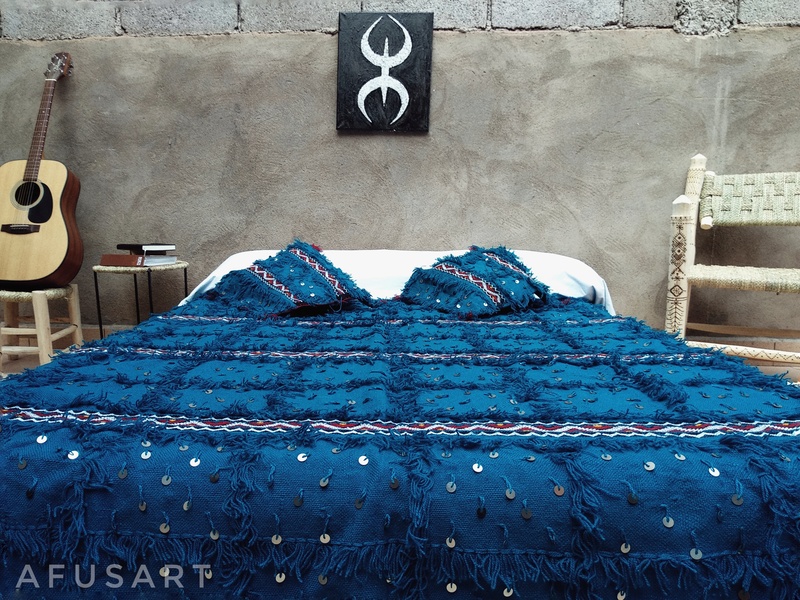 This Beni Ourain-style rug has just been finished by Fatima and Zahara, two of the artisans who work with AfusArt in the village of Khamlia, they have done it in two weeks approximately. 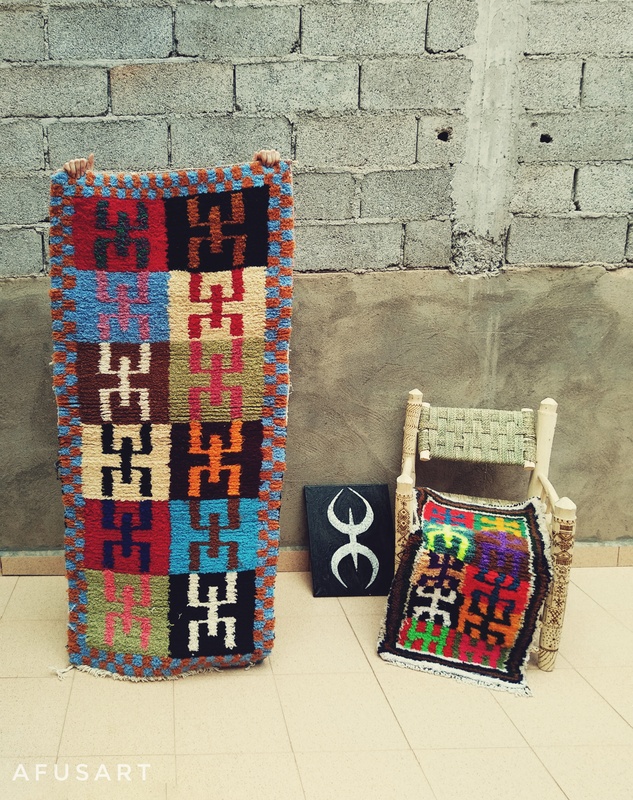 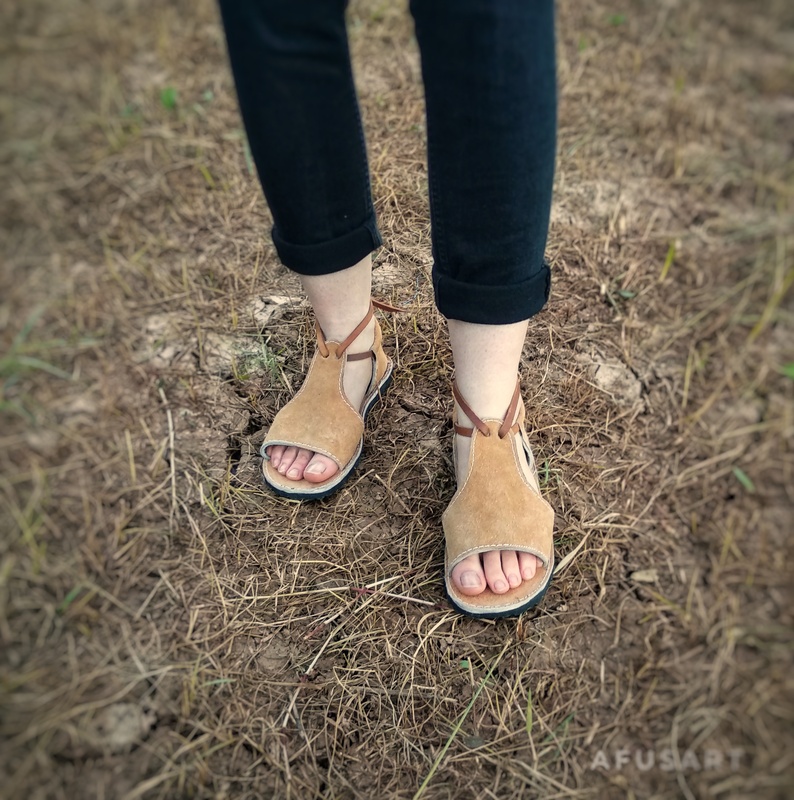 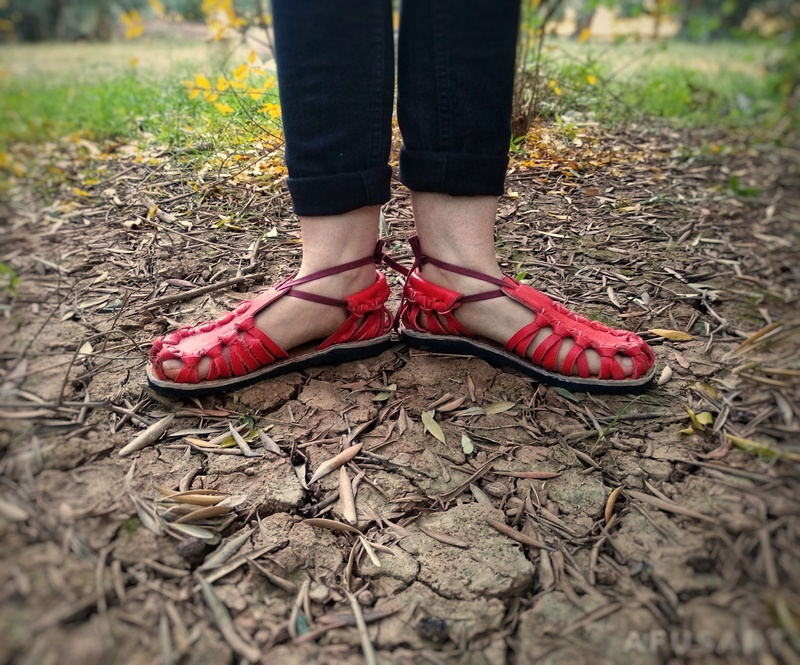 Its design is simple as well as elegant and warm, it is made of cotton and wool, which gives it a tremendously soft touch so that it is not only a piece of decoration, but it can be used to sit, lie down or walk barefoot on it. 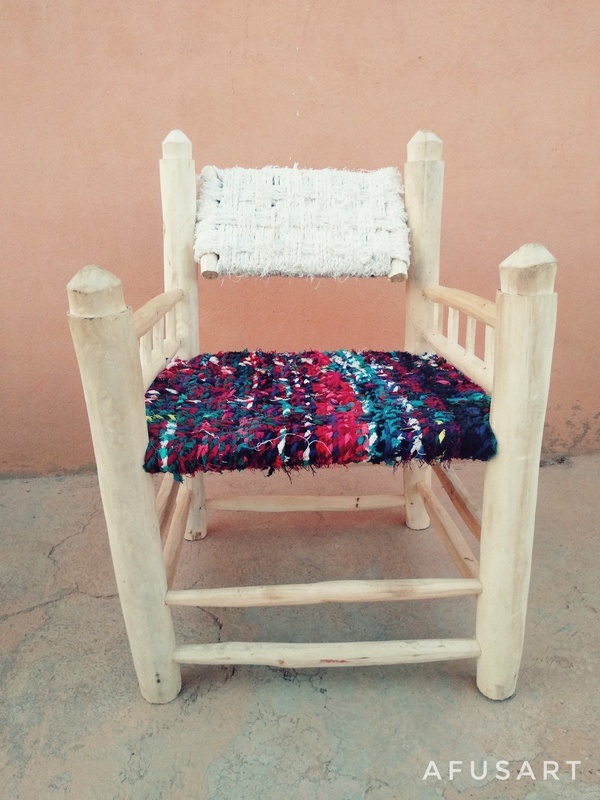 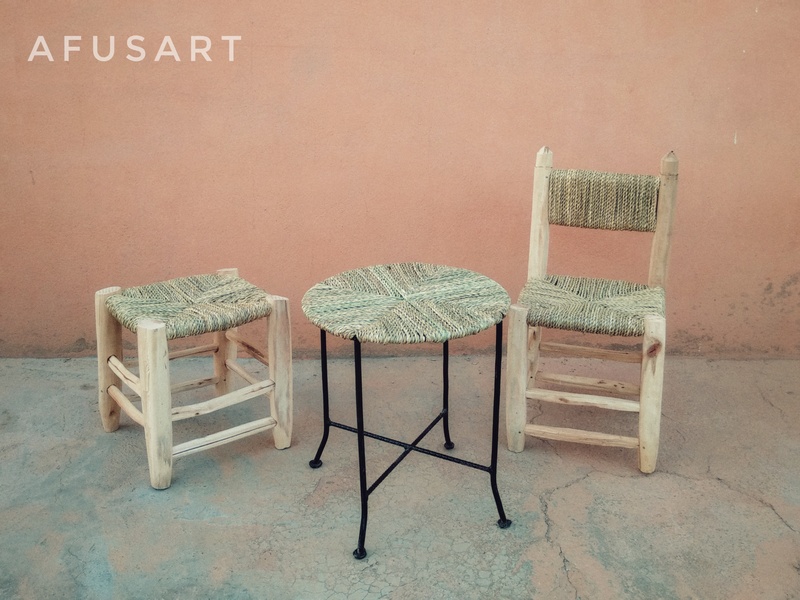 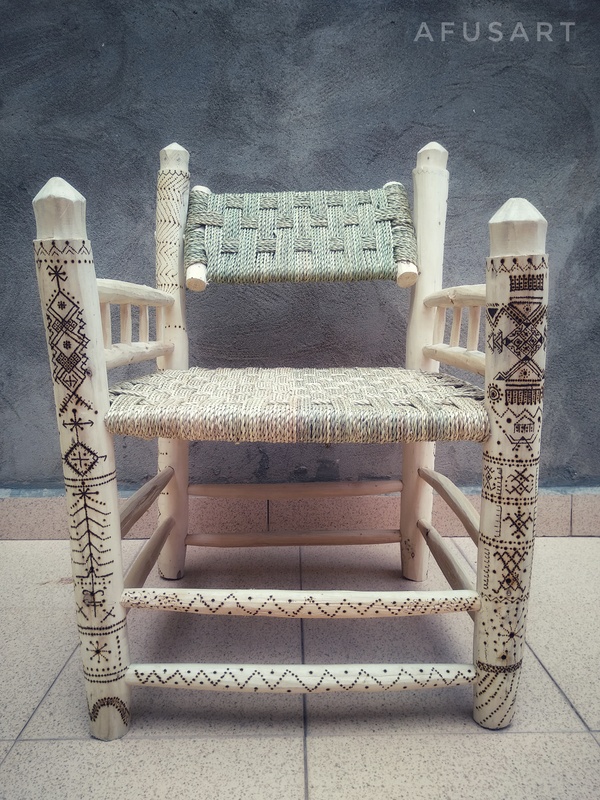 This armchair, which we named Ayllid, king in Berber, has passed through the hands of two artisans, first Ahmed, made the armchair with willow wood and braided palm tree for the seat and backrest, after Muha, personalized with pyrography of old Berber symbology. 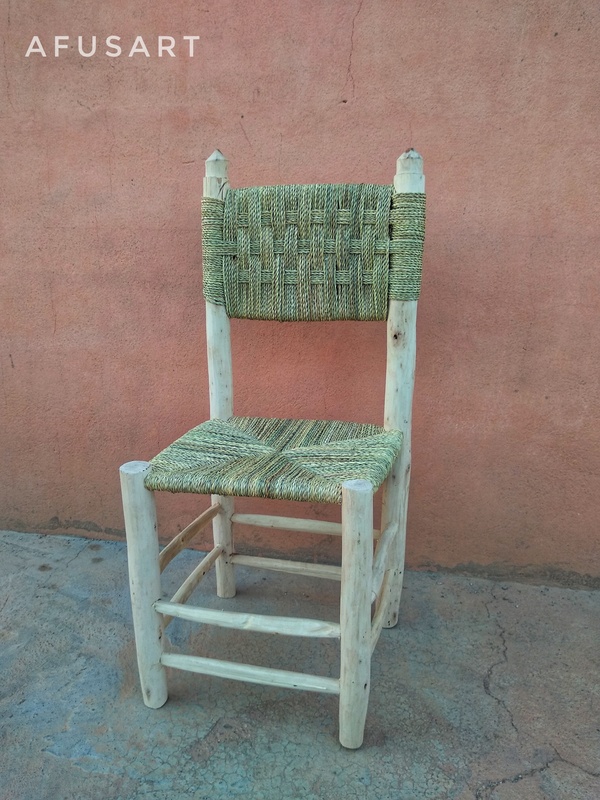 The armchair, in addition of beautiful , is very comfortable: it is wide, it has armrests and the backrest is turned so that it can be placed at the desired angle.